Ylläskieppi is located on the lakeside of the lake Äkäslompolo in the skiing resort of Ylläs. 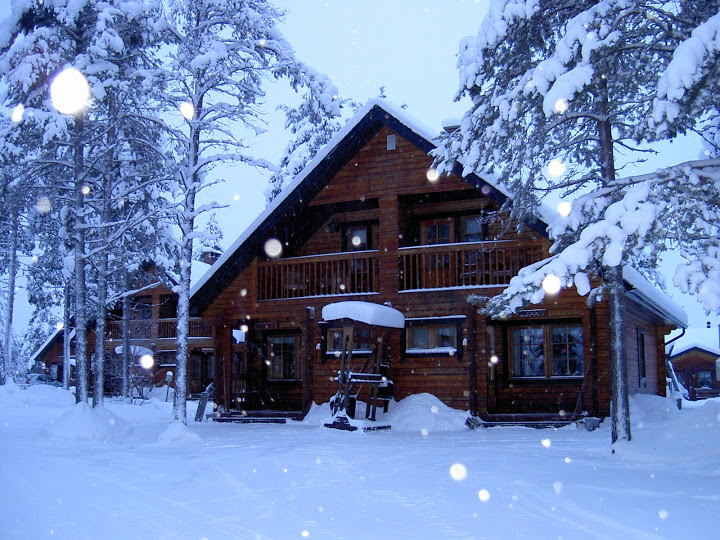 Ski trails and footpaths lead off straight from our cottages and the downhill skiing centre is located just few kilometers from us. 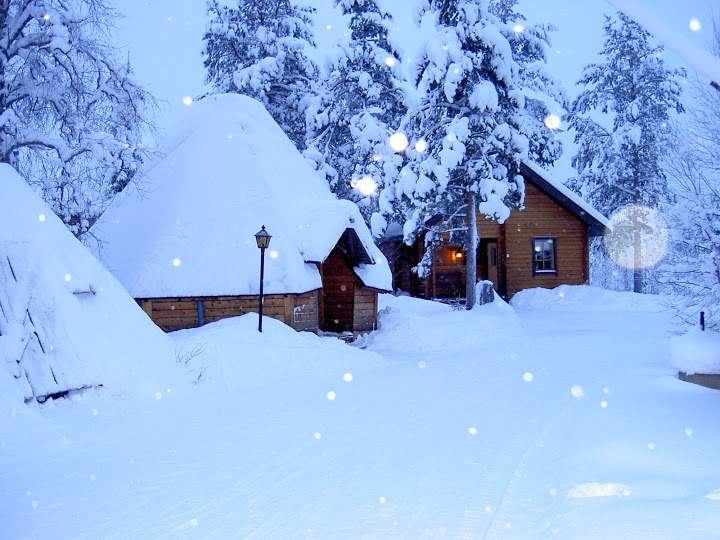 We have nine comfortable and resourced log cabins. You can see a panoramic view to the fells from our balconies: Ylläs, Kesänki and Kukas. Bikes, rowing boats and a tennis court available for our customers.